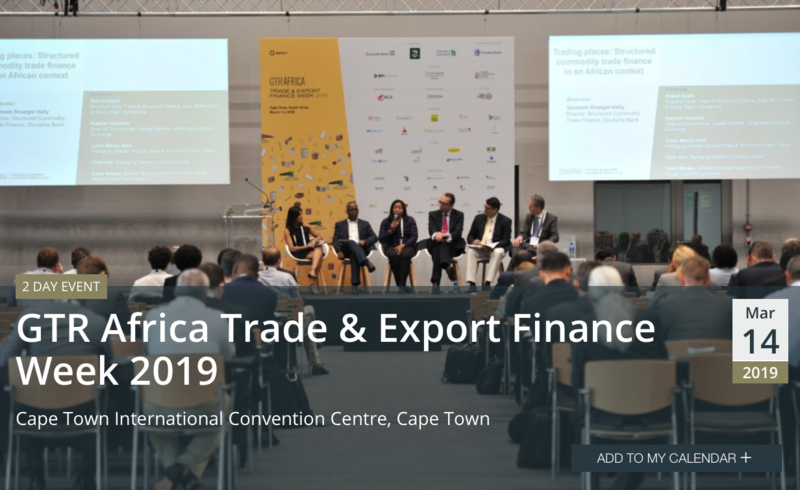 For well over a decade, GTR Africa Trade & Export Finance Week has provided the annual highlight to domestic industry key-players, and returns once again to Cape Town as the regional flagship event, on March 14-15. 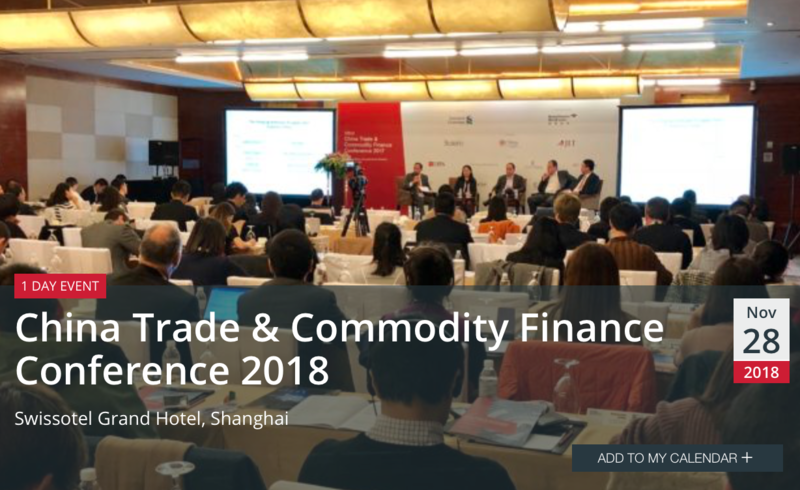 For corporates and trade financiers looking to make their next moves in China, GTR’s China Trade & Commodity Finance Conference offers the ideal occasion to expand their network, meet their competition, and get direct advice and fresh perspectives from a wide range of trade and export finance experts. Welcoming over 170 delegates in 2017, this focused event gathers innovators, leaders and influencers from domestic and international markets for a day of debate, discussion and pitch-free content. 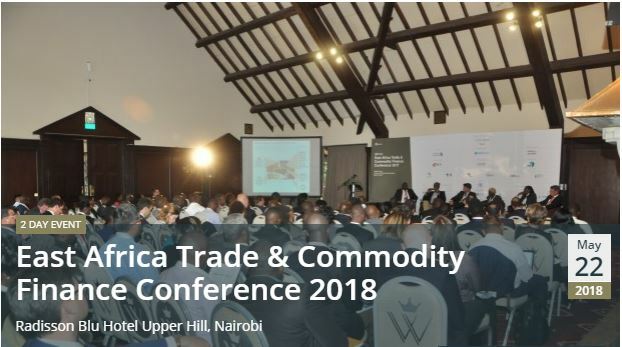 Corporates, bankers, insurers and government bodies will gather to present multifaceted views of emerging markets and the future for trade and commodity finance. The multi-format conference will seek to explore common trends and key market topics within commodities, risk mitigation, supply chain finance and management for China. Gain expert knowledge, create business opportunities and get ahead of the game! 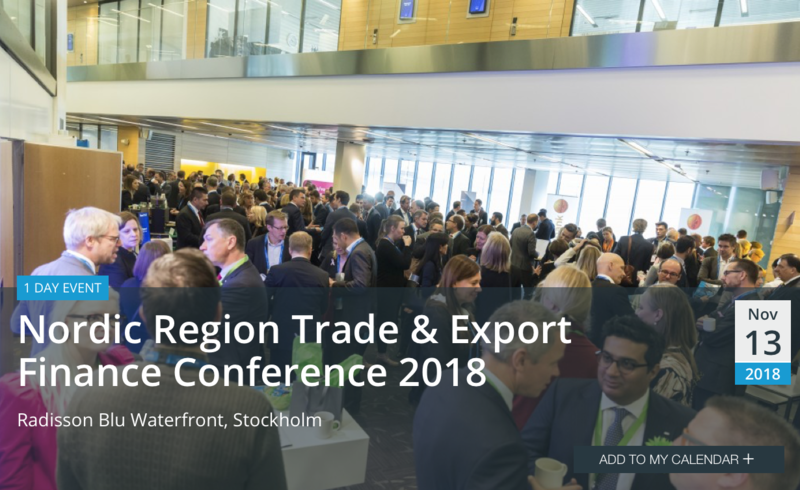 Described as “the most rewarding networking day of the year” and “the one and only trade finance-related event that you must attend in the Nordics”, the conference enjoys close ties to the region’stop corporates and service providers. 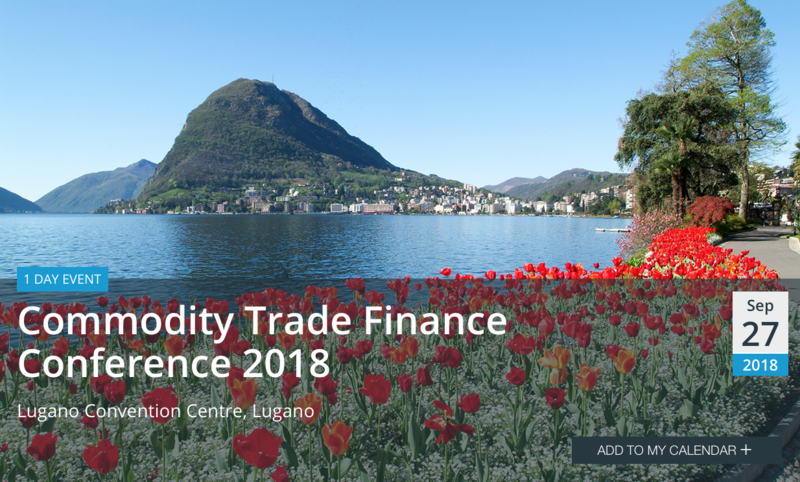 Trade finance experts, insurers, bankers, ECAs, technology innovators, government bodies and corporates of all sizes will contribute, providing attendees with unrivalled networking opportunities and a well-rounded overview of the future of Nordic trade. 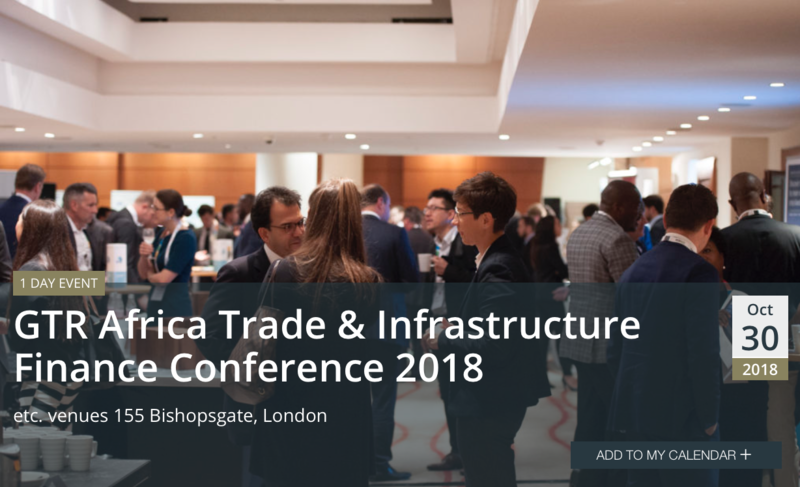 Addressing the huge potential the African continent presents in terms of trade and project finance opportunities, the GTR Africa Trade & Infrastructure Finance Conference in London has quickly become a key annual gathering for domestic and international trade, export and project finance professionals. 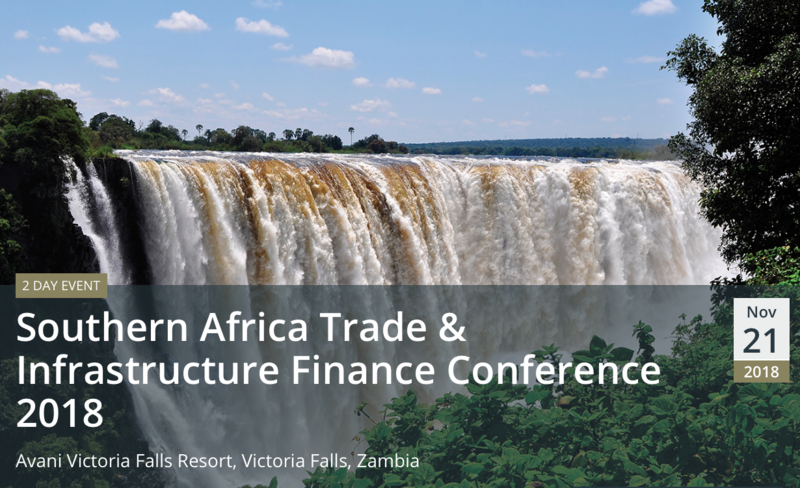 Over 300 delegates are expected in attendance on October 30, with a dual stream conference agenda covering a broad range of topics, including ECA & infrastructure finance, trade and commodity finance, fintech, risk mitigation and more. 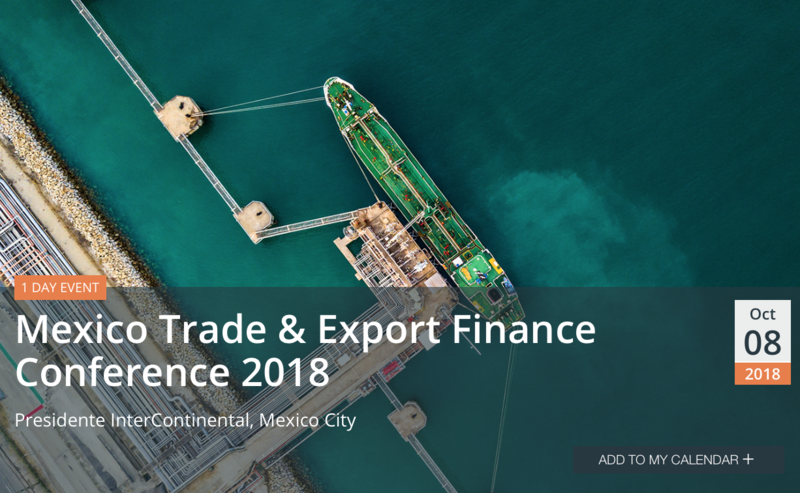 GTR will return to Mexico in October, to provide the premier platform for trade and export finance leaders to discuss the future of Mexican trade. 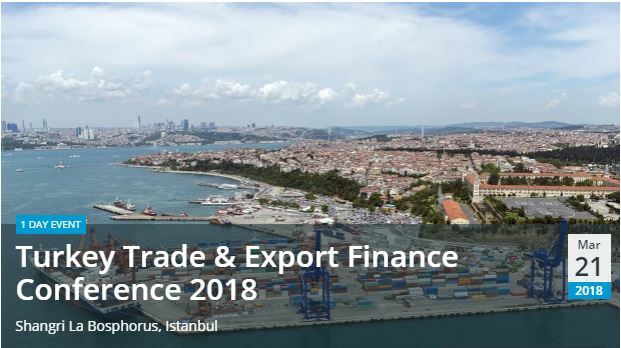 Delegates will review vital trade financing sources and techniques, from the evolving role of ECAs to developmental institutions’ involvement in structured trade financing. Discussions will also assess working capital optimisation strategies for Mexican corporates, the capabilities of trade fintech in today’s market, and the adoption of blockchain and regulatory technology. If you are looking to expand your reach in Mexico, do not miss this event – save the date! Flagship PE-VC Conference in Asia bringing together the biggest LPs, GPs and CEOs of PE & VC-backed companies for an exclusive opportunity to network and exchange ideas. 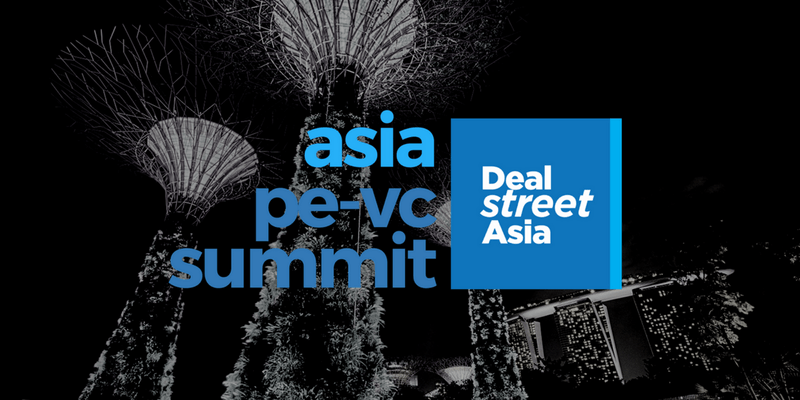 During this two-day event to be held 11-12 September, DEALSTREETASIA will be hosting the largest sector-agnostic PE and VC conference in Asia. For the third year in a row, the Asia PE-VC Summit will be held in Singapore. It is an unprecedented global meeting place for top investors to discover companies in the continent’s fastest-growing economies. With an expected 700 attendees and over 150 LPs and GPs, this is slated to be one of the biggest networking opportunities of the year. Meet other CEOs from venture-backed companies and potential partners to help you grow your business. Trade ideas and get the inside information on what’s happening in your industry. GTR is pleased to announce its return to Marina Bay Sands, Singapore on September 4-7. 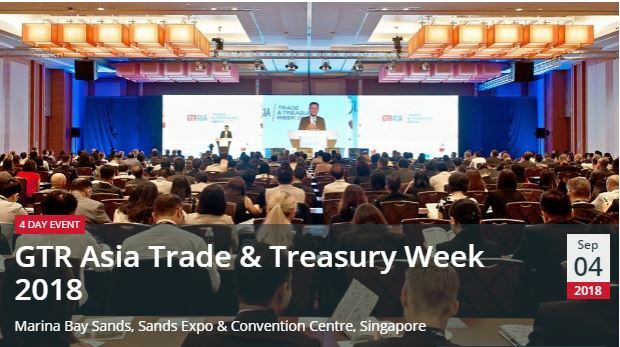 Join GTR and the global trade community for a one-of-a-kind trade and treasury conference, bringing together senior representatives from corporates of all sizes, financial institutions, government bodies and trade specialists. Speakers will address a wide range of topics currently shaping Asian trade, from developments in fintech, to key regional hotspots, to risk mitigation, this multi-format event will have something for everyone. advice and fresh perspectives from a wide range of trade finance experts. Don’t miss the largest event of its kind anywhere in the world – book your place today. 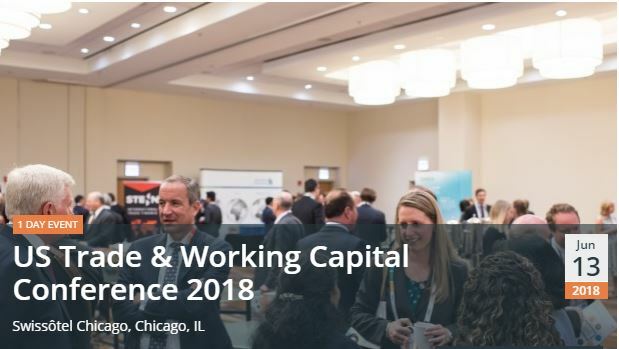 Returning to Chicago in June, GTR’s US Trade & Working Capital Conference will once again provide an ideal forum for US companies and financial service providers to meet and discuss the next steps for US trade and the evolution of the trade finance space. Featuring fintech thought leaders, corporate treasurers, trade financiers and corporates from across the nation and beyond, 2018’s conference will again utilize innovative programme formats to drive cross-sector dialogue between audience and speakers, including showcase presentations from a range of solution providers, working capital breakouts and focused industry case studies. If you are looking to expand your contact base, expertise and trading position, this is a key forum where the right relationships will be made. Ideally located in the heart of Asia and acting as a gateway to mainland China, Hong Kong is the perfect host for the GTR Asia Tradetech Forum. 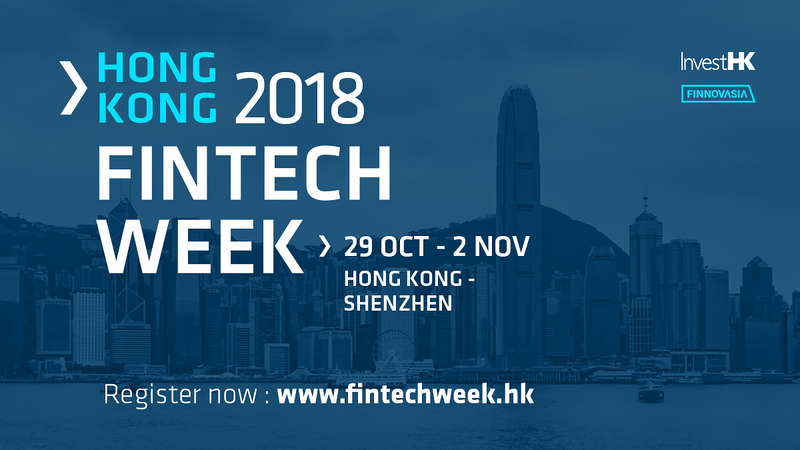 The 2018 event will give an in-depth view of the recent developments reshaping Hong Kong’s trade and finance sector including policy updates, investment opportunities, regional trade flows and the role of fintech and other disruptive technologies in positioning Hong Kong as a key centre for finance and treasury in the region. 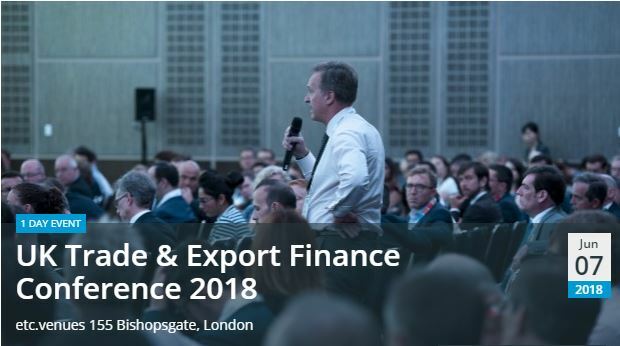 Gathering supply chain finance specialists, trade financiers and business heads from across the region, 2018’s event will be an ideal networking and knowledge building forum for anyone involved in Asian trade. Welcoming close to 500 delegates from across UK industry in 2017, the UK Trade & Export Finance Conference is an annual highlight for domestic exporters, financiers and trade specialists, a place where fresh perspectives are gained and new business relationships formed. With discussions ongoing as to the UK’s trade relationship with the EU, identifying new export markets is a key task for UK corporates seeking to broaden their export horizons. Sources of finance for SMEs and larger corporates, developments in regulation & compliance, advancements in the fintech space and an overview of the UK’s manufacturing sector will all be on the table at 2018’s event, as the nation looks to increase its competitiveness and global reach over the coming years. 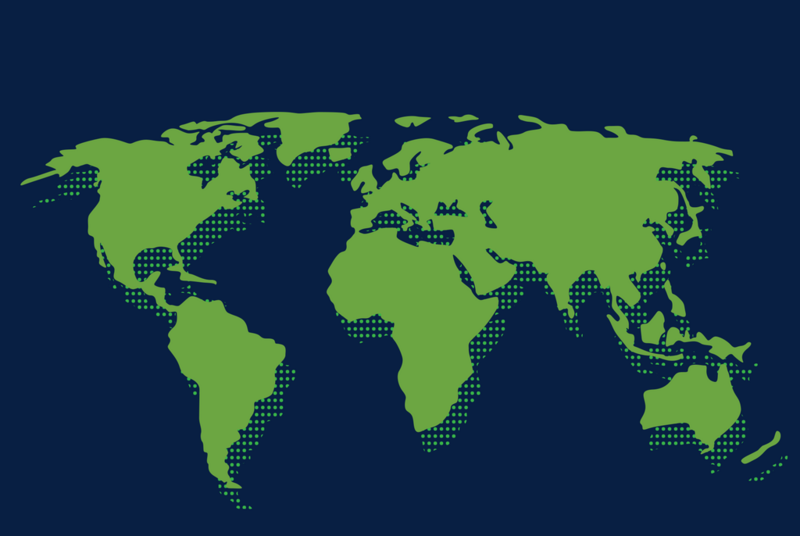 Benefiting from strong links to the UK’s primary trade bodies and leading export-focused institutions, this is a crucial forum for any UK company involved in international trade. 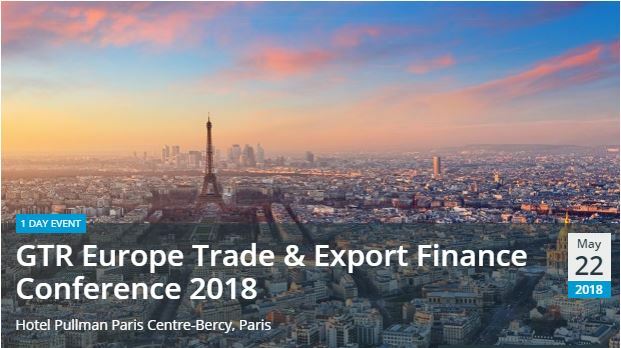 A key market gathering for European trade and export finance specialists and business heads operating across the continent, the GTR Europe Trade & Export Finance Conference returns to Paris on May 22, 2018. Building on GTR’s unrivalled reach in the trade and export market, the conference will welcome more than 200 delegates to the French capital to deliver a comprehensive overview of European trade and export hotspots, assess the current appetite and performance of the insurance market, detail opportunities in key markets outside of Europe, examine financial technology trends and disruptors, and much more. 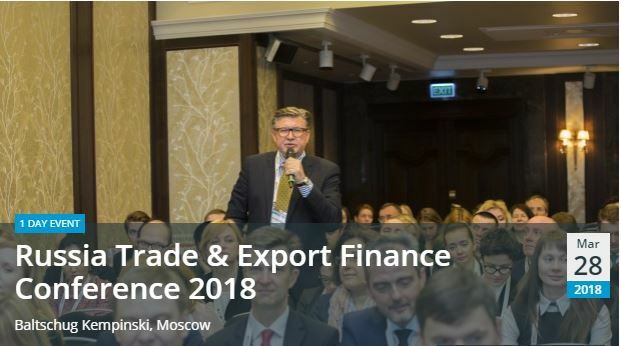 Leading the discussion on Russian trade and export priorities for over a decade, Russia’s most established gathering for the trade and export finance industry will once again bring together a wide range of traders and financiers for a day of networking and debate. With 200 delegates expected in attendance, discussions will focus on regional trade development and policy updates, new and innovative fintech solutions, infrastructure finance and investment opportunities in key energy sectors and markets, and exclusive case studies on working capital optimisation and financing strategies for the Russian market. For companies involved in Russian trade, this is the one event you cannot afford to miss. Featuring as the only event of its kind in the country, this multi-format conference allows both domestic and international delegates to meet face-to-face to discuss their priorities, build their contact base, and learn from the leaders and innovators in trade. 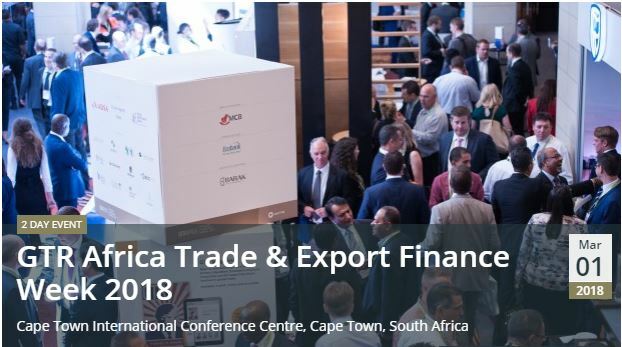 With over 250 delegates due in attendance in 2018, topics for discussion will centre on policy developments, trade and infrastructure finance opportunities, credit and political risk strategies and best practice regarding supply chain finance structures. Furthermore, an exclusive track on Fintech will give an outlook of the disruptive technologies reshaping the trade finance industries and the opportunities they have created for India’s trade and finance sectors. 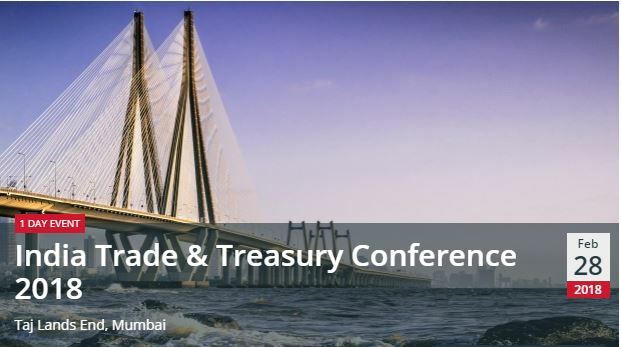 For corporates and trade financiers looking to make their next moves in India, the India Trade & Treasury Conference 2018 offers the ideal forum at which to expand their network, meet their competition, and get direct advice and fresh perspectives from a wide range of trade experts.